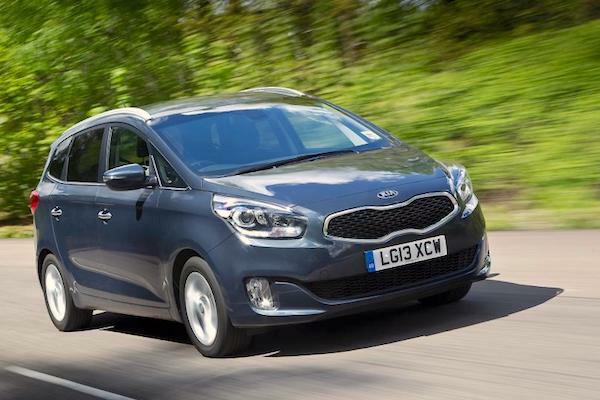 The Kia Carens is the first Korean model to top the Spanish charts outright. The Spanish new car market surges 48.8% year-on-year in August to 108.442 registrations, a new record for the month (previous best is 105.064 in 2005) leading to a year-to-date tally up 14.5% to 978.050 units, the highest result after 8 months since 2007 (1.119.355). August sales Europe-wide have been heavily impacted by the impending new emissions testing standard (WLTP) coming into effect on September 1, meaning a large amount of sales have been pulled forward to before that date as non-compliant vehicles will then only be registrable under strict conditions. Manufacturers themselves (with self-registrations) alongside fleet companies were the most active, gorging on discounted NEDC models that can then be sold as 0km used cars. Accordingly, it’s the “artificial” channels that pull the market up to record levels in August: company sales are up 87.3% to 43.445 and 40.1% share vs. 31.8% a year ago and rental sales are up 81.4% to 6.506 and 6% vs. 4.9% a year ago, traditionally a lot weaker now that the summer touristic season is over. Helped by stock-clearing promotions, private sales are also very dynamic nonetheless at +26.9% to 58.491 but lose share at 53.9% vs. 63.3% in August 2017. The year-to-date channel profile is slightly altered, with company sales still the engine of growth in Spain this year at +24.5% to 294.936 and 30.2% share vs. 27.7% followed by private sales up 11.2% to 469.872 and 48% share vs. 49.5% and rental sales up 9.4% to 213.242 and 21.8% share vs. 22.8% a year ago. 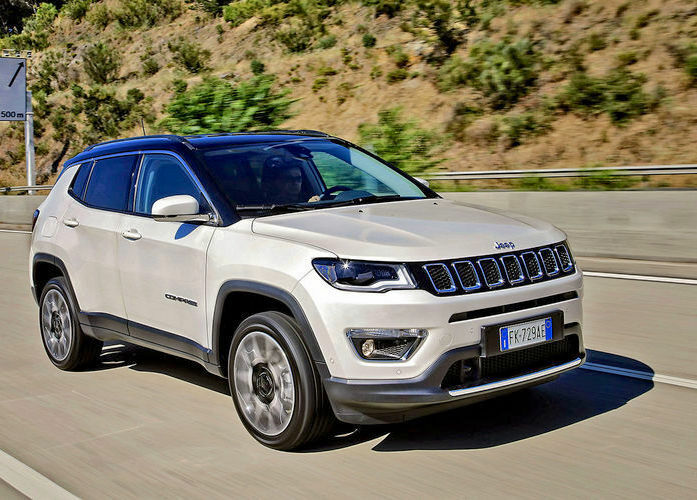 The Jeep Compass is up 1514% to #13. A rough reading guide for most European August sales is: the brands sporting the largest year-on-year gains tend to be the ones that had the largest non-compliant stock to clear, and the brands with smaller increases already have a compliant range and do not need to “play” the system as much. So in a word, the more you gained, the more you had to lose with the new WLTP standards. There will be exceptions of course but this is a general reading of the situation. With this in mind (and I will repeat this caveat as much as I can as more European markets get published), Renault surges 85% to take the brands lead at 8.8% but the most out-of-the-ordinary scores go the remainder of the podium. Kia soars 139% year-on-year and 9 spots on July to land at a record 2nd place with 8.7%, only 65 sales off the overall pole position and lifting from #11 to #7 YTD in the process. Fiat for its part leaps up 134% and 5 ranks to #3 and 6.6%. Paradoxically, Volkswagen – which already posted artificially boosted July scores across Europe – is up only 28% at #4 ahead of YTD leader Seat (+49%) following the market. Other outlandish uplifts are lodged by Jeep (+349%), Alfa Romeo (+277%), Subaru (+271%), Jaguar (+270%), Abarth (+157%), Porsche (+115%), Nissan (+78%), Infiniti (+76%), Mitsubishi (+75%) and Land Rover (+73%). 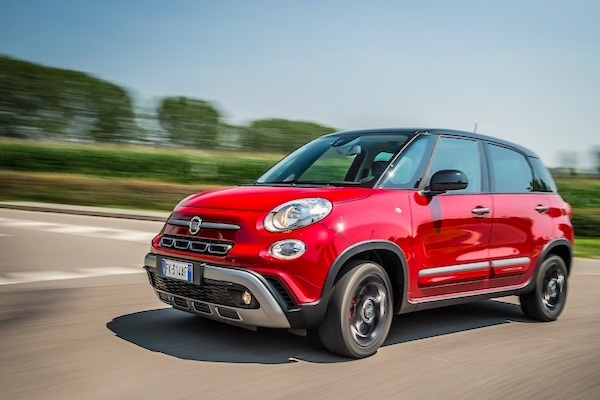 The Fiat 500L is up 721% to #17. The Spanish models ranking is sent into a spin by pre-WLTP stock clearing. The most striking illustration of this unusual situation is the Kia Carens up a whopping 677% to take the overall lead with 5.114 sales. This is an equivalent volume to what the Carens had sold in Spain in 2018 up until August, and the MPV hops from #56 to #26 YTD. It’s a wonder that many Carens were idling in the country waiting to be sold in the first place. Although a totally artificial move unrelated to customer taste, this is the first time in Spanish history a Korean model is the monthly best-seller. The Nissan Qashqai (+121%), Renault Megane (+112%), VW Tiguan (+89%) and Renault Captur (+136%) also outpace an already galloping market in the Top 10 while the Renault Clio (+49%), Dacia Sandero (+32%), Fiat 500 (+46%) and Seat Leon (+32%) post more modest advances. Other likely pre-WLTP-boosted nameplates include the Fiat Tipo at #12 (+193%), Jeep Compass at #13 (+1514%), Fiat 500L at #17 (+721%), Nissan X-Trail at #31 (+103%), Audi Q3 at #32 (+167%) and Fiat 500X at #33 (+124%). More “realistic” performers include the Peugeot 3008 (+95%) and Toyota C-HR (+82%) while recent launches (<12 months) are dominated by the Opel Grandland X (#38), Hyundai Kona (#39) and VW T-Roc (#54). Full August 2018 Top 45 All-brands and Top 295 All-models below.